While green buildings are often touted for their lessened impact on the environment and reduced cost over time, green and/or LEED certified buildings, designed for a high level indoor environmental quality have an added benefit: increased worker productivity. Examples of worker productivity indicators are increases in perceived satisfaction and comfort, reduced sick days and an increase in the number of billable hours versus average time spent at work. In an article entitled “Building the Green Way” in the June 2006 Harvard Business Review, Charles Lockwood stated, “green design criteria – including abundant daylighting, individual climate controls, and outdoor views – raise morale and employee satisfaction, which also improves productivity”. The Genzyme Center, which is Genzyme Corporation’s LEED Platinum headquarters, was touted as an example: When 920 employees moved from the former headquarters to the new green office space, 58% reported increased productivity. Sick time decreased by 5% compared to Genzyme’s other office spaces. Similarly, “Employee Productivity in a Sustainable Building”, a study commissioned in Australia by Sustainability Victoria and the Kador Group, analyzed employee productivity at Kador’s 500 Collins Street before and after the building underwent substantial green retrofits and earned a 5 Green Star Rating for Office Design. The employees at 500 Collins Street also perceived the office to be more comfortable, reporting higher satisfaction with the new office, higher perceived fresh air and increased perception of thermal comfort and lighting quality. In fact, 40% of the employees found the new office “invigorating” compared to the old office. 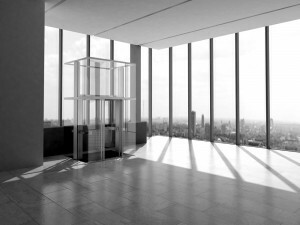 In a 2003 Carnegie Mellon University study, Professor Vivian Loftness demonstrated the importance of natural light and air to worker productivity. The study showed a 3-18% gain in productivity in buildings with daylighting systems, which increase natural light. Similarly, the study showed a 0.4-7.5% gain in building environments with natural ventilation and/or access to the outdoors. The study also showed that controllability of systems for thermal comfort and lighting was important to productivity. In buildings with individual temperature controls, there was a 0.2-3 percent increase in productivity. The study also quoted other research, which demonstrated that both underfloor and desktop user-controllable/task air systems increased individual productivity by 11%. But Doesn’t Indoor Environmental Quality Use Energy? There is a misconception that improving indoor environmental quality uses (more) energy, but as shown in Loftness’ study, “the goal of improving indoor environmental quality is actually proving to measurably reduce energy and other environmental costs, and to dramatically improve business performance”. If you are interested in greening your office space to improve worker productivity, the Leadership in Energy and Environmental Design (LEED) green building rating system may serve as a useful design tool. Specifically, LEED has a credit category called “Indoor Environmental Quality” with helpful design guidelines that address indoor air quality, ventilation, low-emitting materials, controllability of lighting, thermal comfort, and daylighting and views. Buildings are the largest source of energy consumption in the world, and energy lost through today’s inefficient windows accounts for 30% of the building heating and cooling energy consumed in the U.S. SPD SmartGlass is significantly more energy efficient than static glazing, providing a comfortable interior for occupants with an uninterrupted view as the need for blinds/curtains is eliminated. SPD SmartGlass provides a sustainable eco-friendly building interior whilst also enhancing the corporate image of the building. This entry was posted in Articles, Smart Glass News and tagged electric glass, electric privacy glass, Electronically Switchable Glass, Intelligent Glass, LC smartglass, privacy control, Privacy Glass, smart glass, smartglass, SmartGlass International, SPD SmartGlass. Bookmark the permalink.